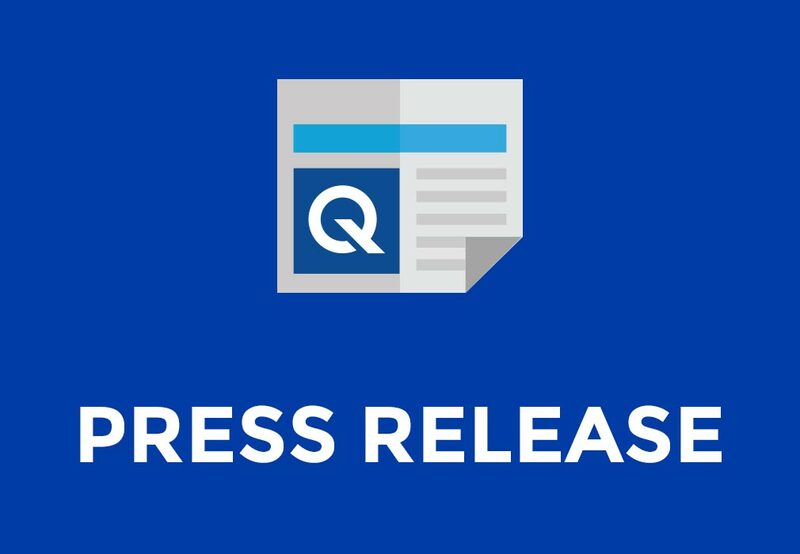 FORT LAUDERDALE, FL, OCTOBER 20, 2013: Q’Straint announced today the availability of a new wheelchair retractor tie-down system that meets the higher-strength requirements of WC18 that take effect in December 2015. At that time, compliance with WC18 will require frontal-impact sled testing of the wheelchair tie-down system with the crash-test dummy restrained by a three-point lap/shoulder belt with a lap belt anchored to the 187-lb surrogate wheelchair, such that a large percentage of the wheelchair-passenger restraint forces are transmitted to the rear tie-down straps. The new QRT-360 is the first 4-point, heavy duty, fully automatic retractable tie-down system designed, engineered, and built to perform successfully in a 30-mph frontal crash when the user of a powered wheelchair is traveling in a motor vehicle while using a commercially available crashworthy lap belt that must be used in the frontal-impact test conducted of wheelchairs under WC19. The new QRT-360 meets RESNA’s (Rehabilitation Engineering Assistive Technology Society of North American) newly revised WTORS standard for effective wheelchair securement well in advance of the 2015 deadline. It also offers a shortened retractor footprint that allows more flexibility in vehicle anchor-point locations to better accommodate large wheelchairs. The revolutionary new product is therefore compatible with the widest variety of wheelchairs and is an acceptable solution to wheelchair securement in all types of motor-vehicles. “Transit providers, including those who provide school transportation, para-transit and public-bus services, and family members and caregivers who operate private vehicles need to be aware of these new standards and products that comply with them. They should also give serious consideration to purchasing and installing the latest versions of tie-down/restraint equipment that has improved over the years to become much easier to use, especially for people who are traveling while seated in a WC19 wheelchair with four easily accessible securement points,” said Dr. Larry Schneider, a research professor at the University of Michigan Transportation Research Institute. The QRT-360 design utilizes innovative energy management features and material technologies to deliver the system’s full strength for maximum load capacity. It features an energy-absorbing steel frame, new high-strength 58-mm wide webbing, and a fine-adjustment self-tensioning mechanism using 25 high-strength teeth in the retractor locking mechanism. The geometry of the teeth and an innovative new locking bar ensure perpendicular alignment for maximum strength in all tie-down situations. A re-engineered positive-locking Interface in the retractor mechanism contributes to the system’s ability to resist extremely high dynamic loads. The QRT-360 is covered by a comprehensive five-year warranty. Automatic Tightening Increases Safety Q’Straint’s industry leading, self-tensioning strap-type tie-down system automatically tightens the straps during small wheelchair movements that occur during travel to eliminate slack. The belts continue to tighten during low-g vehicle accelerations, thereby further reducing the potential for wheelchair movement in the event of a collision. Automatic Release and Easy to Use Effective wheelchair securement is further enhanced by a compact and ergonomically designed tie-down-strap tensioning knob on each retractor assembly. Also, thanks to the QRT-360 auto-release mechanism, operators and attendants can pull the strap out of the retractor to attach the tie-down hook to the wheelchair without having to press a release button until it is time to release the wheelchair from the securement system at the end of a journey. QRT Max and Deluxe Retractors Are Enhanced Q’Straint is also announcing a product update for the QRT Max and QRT Deluxe retractors. Both models will feature a new cover design with improved ergonomics and a beveled webbing window that extends the life of the belt. For the QRT Max and Deluxe, this will be a running change that begins in December. The QRT Standard and units with cables will continue in their current configurations.